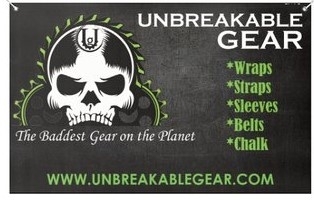 The UG Banner is 2.5' x 6' long horizontal, neon green banner featuring the classic UG skull. It comes on an Indoor vinyl in a 10 oz. lightweight, durable material.. This flexible banner features a matte finish and is fade-resistant and tear-resistant.